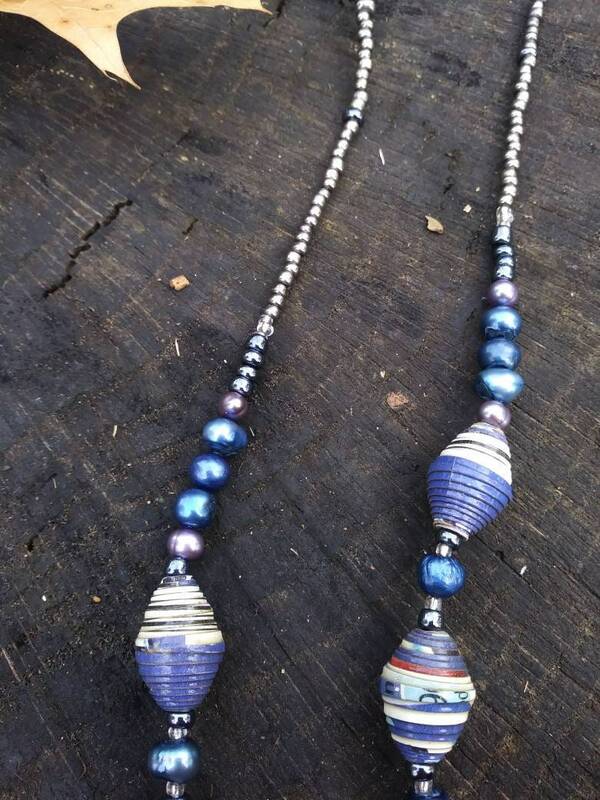 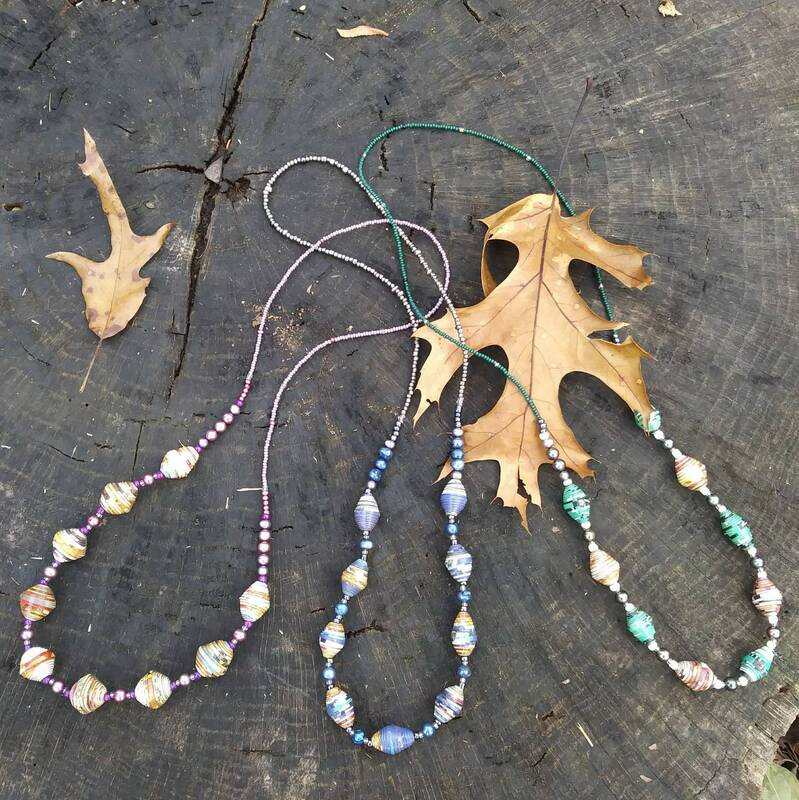 Lovely necklace of glass, navy blue dyed freshwater pearls, and handmade Haitian paper beads. 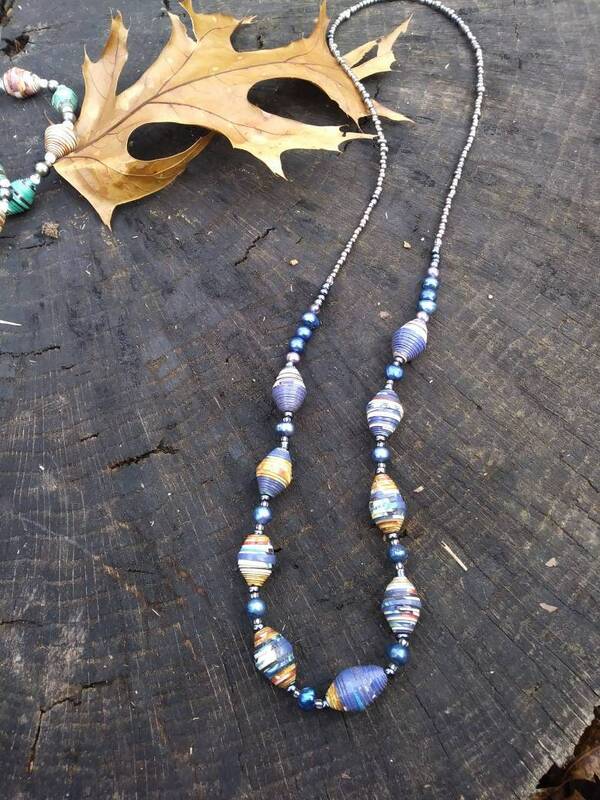 With petite glass beads around the neck this is sure to be a favorite, light and easy to wear, yet elegant. 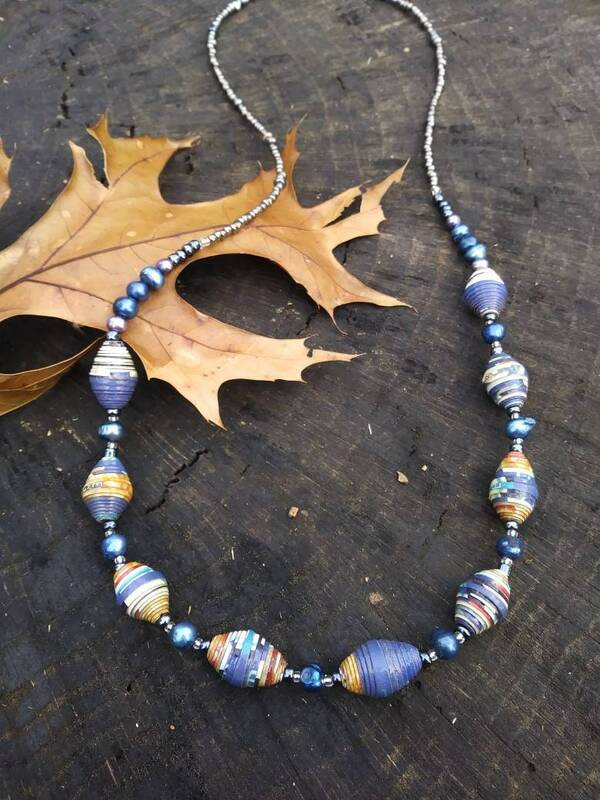 Because this necklace is without a clasp, it is great for those with metal allergies.